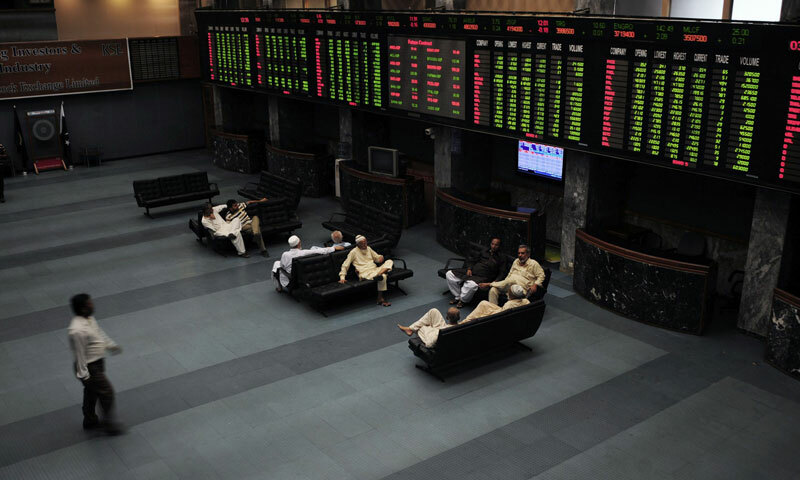 KARACHI: Pakistan's main stock exchange closed lower on Wednesday, with the benchmark 100-share index of the Karachi Stock Exchange falling 0.23 per cent, or 59.11 points to 25,500.50. The market was seen range bound and a dull session was witnessed as a result of the end of the season and future roll over. Lucky Cement and Indus Motors announced their December quarter results, said dealer Samar Iqbal at Topline Securities. Lucky Cement Ltd rose 0.39 per cent to 308.45 rupees while Fauji Cement Co Ltd was down 1.72 per cent to 15.97 rupees. The rupee ended higher at 104.90/104.95 against the dollar compared to Tuesday's close of 105.00/105.05. Overnight rates in the money market remained flat at 7.50 per cent.